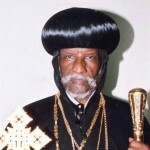 “The APPG expresses its deep concern regarding the Eritrean Orthodox Patriarch, His Holiness Abune Antonios, who, now aged 89, has spent over ten years under house arrest. We are particularly concerned to learn of recent reports from Christian Solidarity Worldwide detailing the Patriarch’s transportation to a healthcare facility in May 2017 where he was allegedly injected with a substance causing him to fall gravely ill.
“The escalation of this case coincides with an increased crackdown on Eritrean Christians by the Eritrean authorities, 122 of whom have reportedly been rounded-up and detained in May. The detention of Christians began in May 2002 when the Eritrean Government effectively outlawed religious practice not affiliated with Sunni Islam or Evangelical Lutheran, Catholic and Orthodox Christian denominations. Many of those detained have been subject to torture, for example, by being kept in metal shipping containers without water and flogged. “While the Orthodox Archbishop was not removed under the religious practice law, he had refused Government requests to close the Medhanie Alem Church, linked with the Orthodox renewal movement, and excommunicate 3,000 of its members.